GST invoice or tax invoice is a commercial document that must be issued by a seller to a buyer. Entities registered under GST must issue GST invoice for every taxable supply of goods and services supplied. 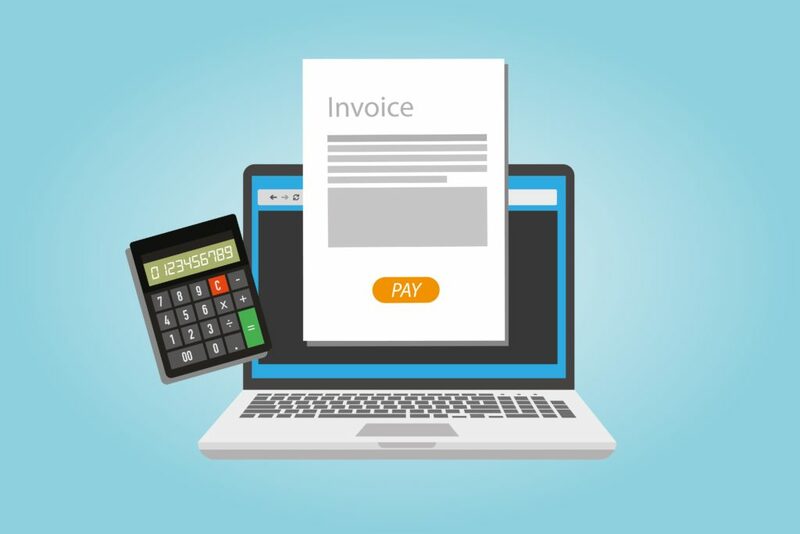 Invoices also serve as legal documents, demanding payment for a goods or services. Once payment is made on an invoice by the buyer, the invoice would serve as a legal document showing title to the property purchased. 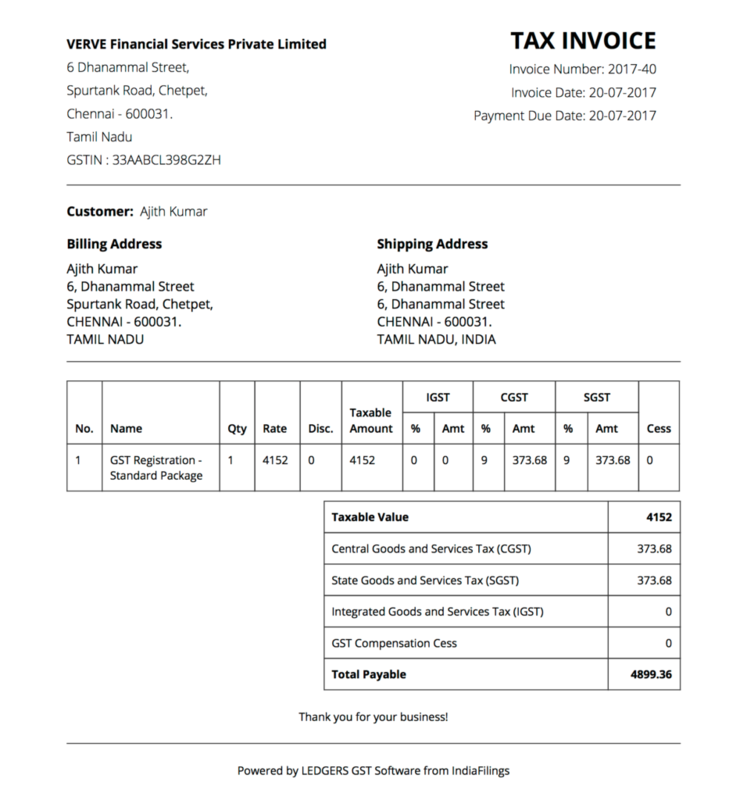 In this article, we look at invoicing under GST in detail along with GST invoice formats and examples. Name, address and GSTIN of the supplier of goods or services. Invoice number unique for each financial year which is a consecutive serial number not exceeding sixteen characters, in one or multiple series, containing alphabets or numerals or special characters – hyphen or dash and slash. Name, address and GSTIN of the recipient of goods or services. In case the recipient is not registered under GST, then name and address of the recipient and the address of delivery must be mentioned on the invoice if the value of the taxable supply is more than Rs.50,000. If an invoice value is less than Rs.50,000 then name and address of the recipient and the address of delivery can be mentioned, if required or requested by the recipient of goods and service. HSN Code or SAC Code for the Goods or Service. The requirement for mentioning HSN code or SAC code on tax invoice has been relaxed for taxpayers whose turnover is below Rs. 1.5 crores. Description of the goods or services. Quantity and unit of measurement. Total value of supply of goods or services. Taxable value of the supply of goods or services taking into account discount or abatement, if any. GST rate applicable along with the amount of CGST, SGST, IGST and GST Compensation Cess payable by the recipient. Place of supply along with the name of the State, in the case of a supply in the course of inter-State trade or commerce. Address for delivery of goods and services, if it is different from the place of supply. Whether tax is payable on reverse charge basis. Signature or digital signature of the supplier or authorised representative. When Should Invoice be Issued? Time of supply for goods or service is when GST becomes payable. Issuance of tax invoice is an important element in determining time of supply. In most scenarios, time of supply of goods or service is the date of issuance of an invoice or receipt of payment, whichever is earlier. If goods or services have been supplied, then invoice must be issued within a period of 30 days. Hence, GST invoice should ideally be issued when payment for goods or services is reasonably assured or if the goods or services have been supplied to the recipient. It’s very important to note that the supplier becomes liable for remittance of GST to the government on the issuance of tax invoice, even if payment has not been received from the customer. Hence, if payment is not reasonably assured and goods or services have not been delivered, an estimate can be issued by the supplier. In case of supply of services, the invoice should be prepared in duplicate. The original copy should be marked as ORIGINAL FOR RECIPIENT and the duplicate copy should be marked as DUPLICATE FOR SUPPLIER. The serial number of all invoices issued during a tax period should be filed every month in FORM GSTR-1. Also, GSTIN of all recipients registered under GST must be mentioned on GSTR-1 filing for B2B transactions. In case of recipients not registered under GST or B2C transactions, name, address and place of supply should be mentioned for high value transactions. GSTR-1 filing made by the supplier will automatically be auto-populated in the GSTR-2 filing to be submitted by the recipient of goods or service. Hence, GST invoicing plays an important role in input tax credit claims.